With a few days of January left, we’re well into the hustle and bustle of 2018. Though we’re headed for the shortest month of the year, it doesn’t mean there’s any less fun to be had in February. 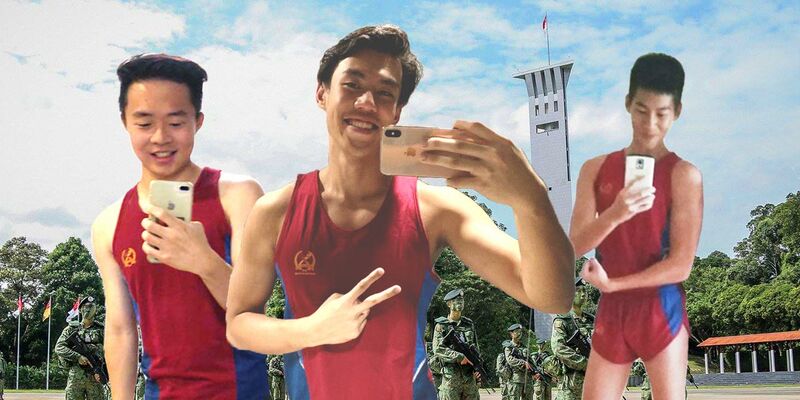 More than collection ang pows and receiving chocolates on Valentine’s day, here are 40 events to keep your calendar full this upcoming month. Witness *SCAPE light up with illuminated ball pits, carnival games, and over 20 F&B and retail booths. At this chill weekend carnival, be entertained by local artistes and a special dance item by The Lion City Lockers featuring Fauzi and Xenia (#faunia). Grab your girlfriends for an atas brunch serving up modern Asian cuisine. Wash it down with free flow Veuve Clicquot and other innovative cocktails. With CÉ LA VI veteran DJs spinning tunes to create a vibrant atmosphere, no other brunch will get you this high. With funky live music, live cooking stations, and free flow Delamotte Brut Champagne, Beach Brunch Beats is a great weekend brunch option. Bring your swimwear so you can take a dip in the pool before heading back for more beer. If you’re into baking, this chocolate decorating class will teach you how to garnish your cakes with chocolate cigarettes, curls, and fans like a true baking connoisseur. ‘Bake’ the world a better place as you make these adorable cookies. Serve them to your guests this coming CNY gathering and wow them with your newly discovered skill. Switch up your regular cinema movie dates with a screening of Romeo + Juliet under the stars. This pop-up movie event will also offer free flow popcorn. For a midweek perk-me-up, catch comedian Fakkah Fuzz at his first Masala show. Chuckle at the jokes made by the television personality as he entertains with his keen observations of Singapore society. If you’re into the dating game, you’ll find some of the stories told at Talk To Me I Slap You relatable AF. This interactive performance encourages the audience to share their dating encounters, and will touch on the themes of loneliness, domestic violence, authority, gender, and sensuality. The one-hour theatrical dance performance explores how people deal with the lack of belonging when they find themselves to be nomads living in countries they do not call home. Follow the story of Eva Perón, wife of the former Argentine dictator Juan Perón. Watch how she journeys to become the ‘spiritual leader’ of the Argentine people. The biggest holi festival in Southeast Asia is back for its ninth edition. Start your weekend on a vibrant note as you splash your girlfriends with rainbow colours and water sprinklers. Dance to tunes by King of Reggae, and other reggae artists at the Projector. Each entry is coupled with a complimentary drink to start off your night irie. If you’re looking for a relaxed Saturday night out, hit up The Blvck Market. The artisanal market will feature craft beers, cocktails, and food, and have DJs from Ritual spinning the decks till the wee hours. When you sign up for this river cruise party, you won’t know where you’ll be going until three days before the event. Get on a boat and cruise down the Singapore River before you’re transported to a secret indoor rooftop which will be transformed into a club for you to party till dawn. Join Singapore’s juggling and spinning community for a night of acrobatic fun. While you’re welcome to snap some IG worthy photos at the light exhibitions, the community would like to inform photographers and spectators that the event is not a street show or public performance. Twirl the night away at Singapore’s most well-known Latino bar. When you need to take a break from dancing, enjoy a complimentary drink at the bar, before taking to the floor again. The monthly Latin dance and music experience, Salsa Under The Stars is back. Put on your dancing shoes and meet new friends at this 45-minute beginner dance workshop and after party. Unleash your dance moves with a no-frills late night discotheque session at The Great Escape. Playing classic funk, hip hop, to jazz, the upbeat tunes will keep your feet moving all night long. With DJs from Matteblacc helming the decks, swing by with your girlfriends for a dance party fueled by food, drinks, and coffee. Filled with colourful parades and dazzling lights, the annual Chingay Parade will entertain and showcase performances ranging from stilt walking to traditional dance. Marvel at aerobatic flying displays and aircrafts as they weave complex patterns in the sky at Asia’s largest aerospace event. Get fit with your girlfriends as you practice Yogalates under the warm morning sun. This yoga and pilates hybrid not only improves breathing, circulation and energy level, but also speeds up your metabolic rate for improved weight loss results. If you’re a fitness bunny looking to switch up your cardio routine, take up this swim-run challenge held at Palawan Beach. Cycle through heritage sites and admire the MBS laser light show as you kickstart your February on a healthy note. Both bicycles and gear will be provided. Spend an afternoon relaxing and doing Yoga when you participate in Soulfest. Aside from attending meditation, blindfold yoga, and dance yoga sessions, you can also shop for candles, get massages and buy cold-pressed juices at the fair. Learn to make a simple hydroponics system at home with basic materials from hardware shops. 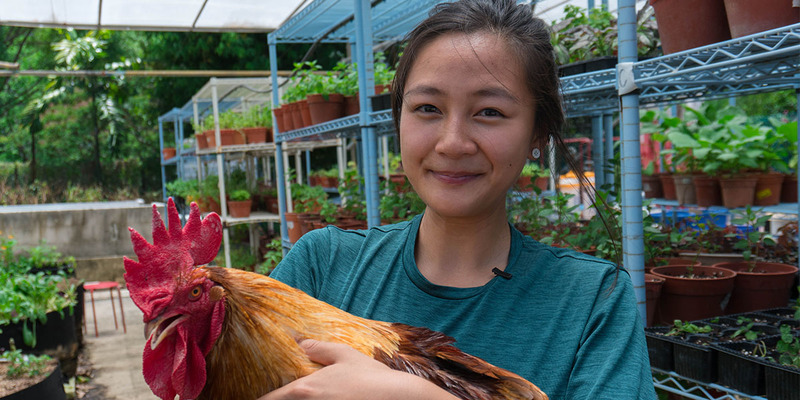 With the skills you learn from the workshop, you can start your own organic vegetable garden and have the freshest produce for dinner. Get your blood pumping and dance the night away with Lindy Hop, a partnered social dance combining jazz, swing and tap dance. 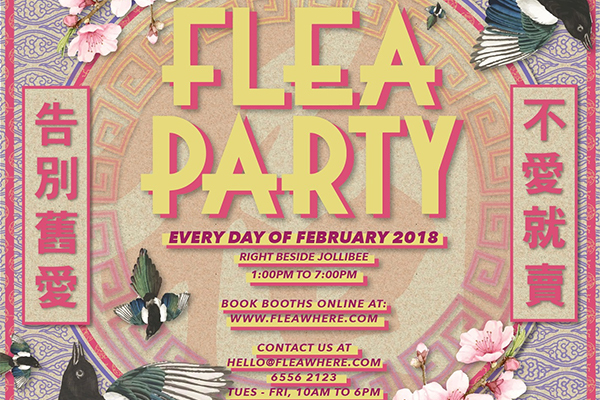 For shopaholics who want to refresh their wardrobe without breaking the bank, steal a bargain at Flea Party. Get more out of your CNY angpow money when you buy new or pre-loved items at a fraction of the original price. MOX parade is back to feature the newest collection of local artists, fashion designers and creatives. At this market, you’ll find beauty products, handmade crafts, and jewellery. Organised by the Singapore Committee for UN Women, Glamorous Giving is Singapore’s biggest designer fair. Score bargains from more than 55 independent brands, designers and boutiques. Playing music from hip hop to jazz, Tribe promises ~good vibes only~. Music lovers can swap pre-loved vinyl and cop new merchandise and releases at this music market. With vendors selling organic vegetables, olive oil, bread, wine and baked goods, get quality produce at a bargain and begin your #healthyliving and #cleaneating goals. 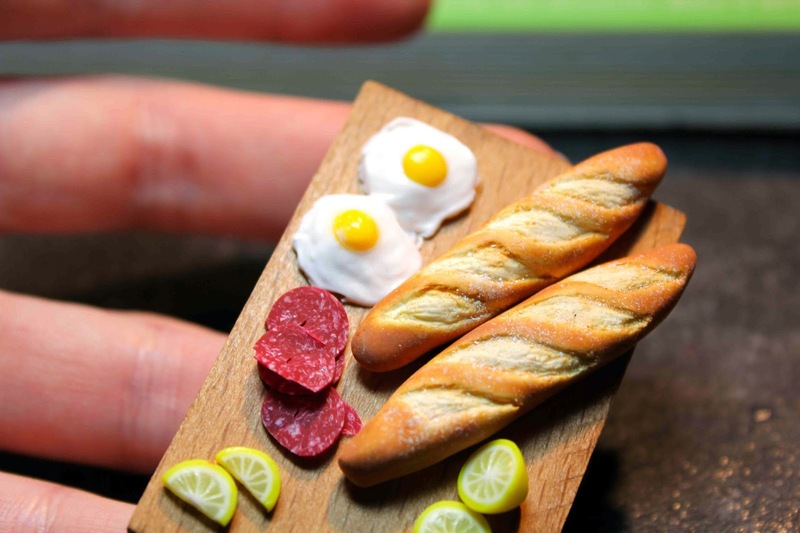 Get crafty as you create miniature food display sets through clay modelling, colouring, and craft techniques. 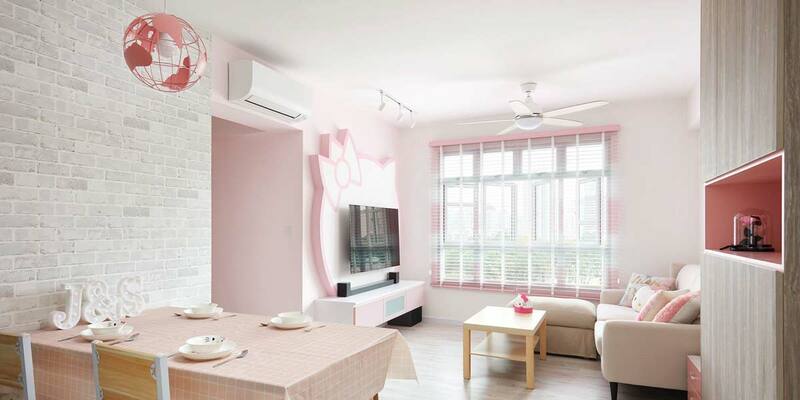 All materials will be provided and you’ll be able to take home your tiny masterpiece. Learn how to carve out stamps using rubber to make kawaii sloths, hedgehogs, and sleeping foxes. Suitable for beginners, you’ll be able to take home two to three rubber stamps and an exclusive starter kit to keep on crafting. 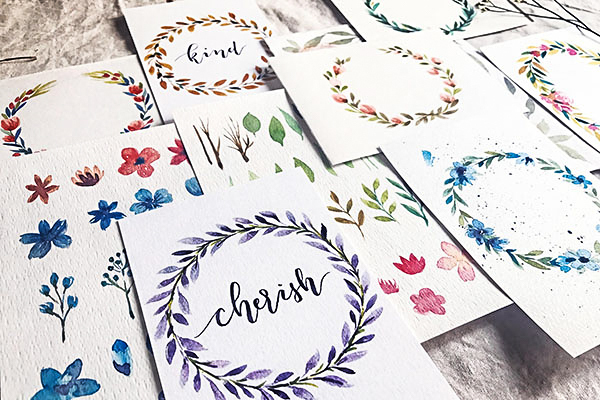 If you’ve always marvelled at how your artistically-inclined friends paint Pinterest-worthy floral wreaths, learn basic water colouring techniques and start your own watercolouring journey. Usher in the Chinese New Year with a bang at River Hongbao when you watch fireworks light up the Marina Bay floating platform. The fair will also feature over 30 carnival rides and game stalls. 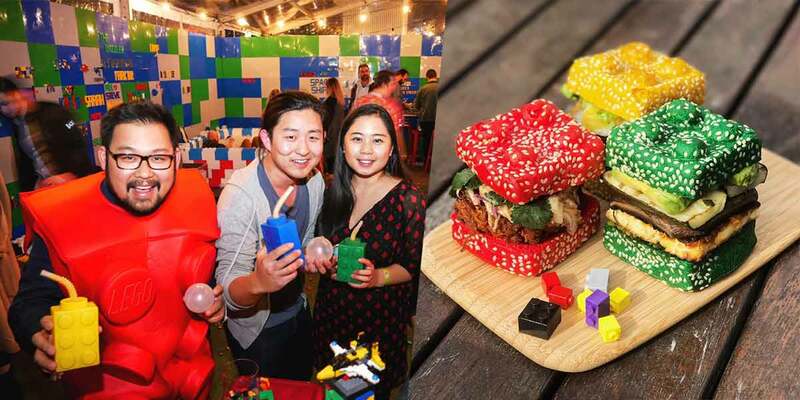 At this CNY edition of Market by FUEGO, market-goers can shop for festive goods, attend food tastings and buy ingredients grown or made by local food producers. If you’ve not got your CNY outfit or goodies yet, CNY Pop Up market has got you covered. The market will sell crafts, food, and clothes from trendy labels such as Sunday Peach and Our Bralette Club. Start the evening with cocktails at The Rooftop bar before you move to the 1919 Restaurant to enjoy a four-course dinner. With a live band playing and a scenic view of the Singapore River, it’ll set the tone for your Valentine’s date to feel the love. Couples who workout together, stay together. Take bae out for a Zumba party led by popular in-house instructors Kim and David as you groove to energetic beats. 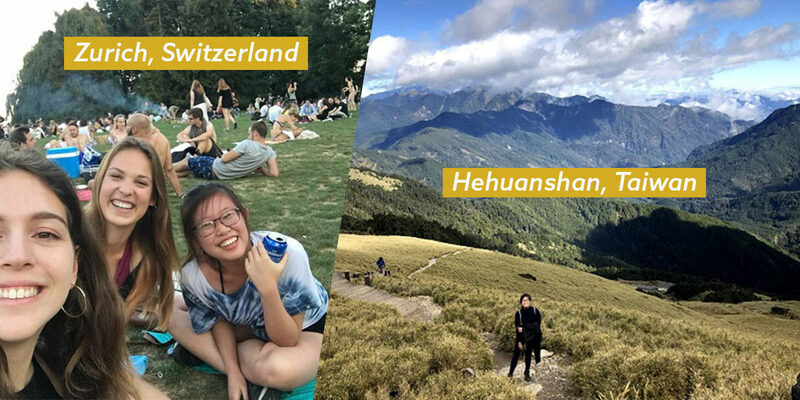 With this list of events coming February, make time for your girlfriends amidst the festive season of CNY and Valentine’s day!